Are you just arrived in town for Expo or have you been living here for years, but haven’t you still found a cleaning company in Milan? Then, you’re in the right place! 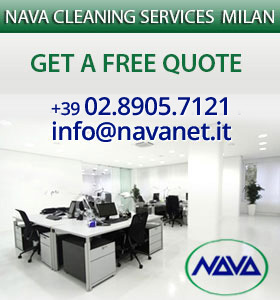 Nava, since 1945, works in commercial cleaning services sector for all kinds of business: shops, industrial sheds and offices of any dimension. As a proof of its professionalism and good service, Nava works with great company like Axa or Gabetti. Our staff is highly trained and all the products we use are certified. Please contact us for cleaning services for Expo or whatever you need!